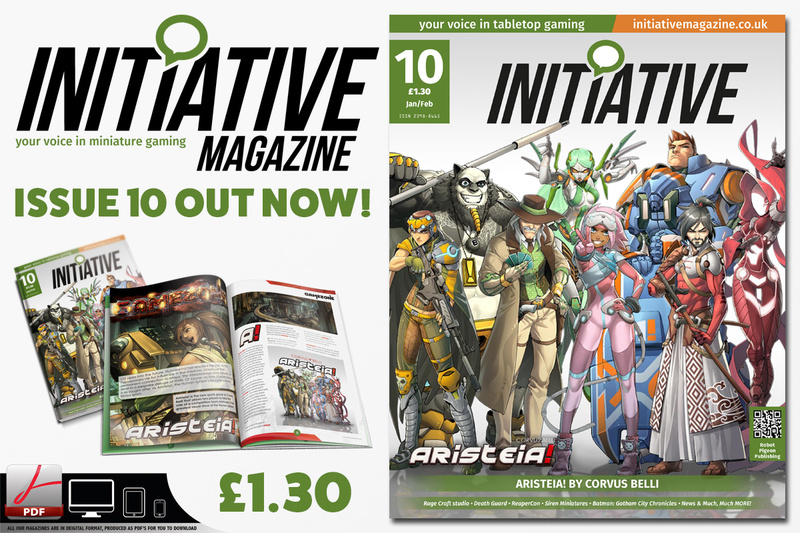 Welcome to Initiative issue 10. A new year means a fresh start, so time to plan those new armies or perhaps start a new game. For me, I intend to build up a small force of raptor space marines. Might even show them off towards the end of the year. Whatever the year holds for you, we here at Initiative aim to bring you the best in tabletop gaming.